●High luminance and most reliable LED from Nichia Corporation. Rich quality of luminance, power saving and long life LED room lamp. ●Designed differently for each car model, best fitting and easily installed. 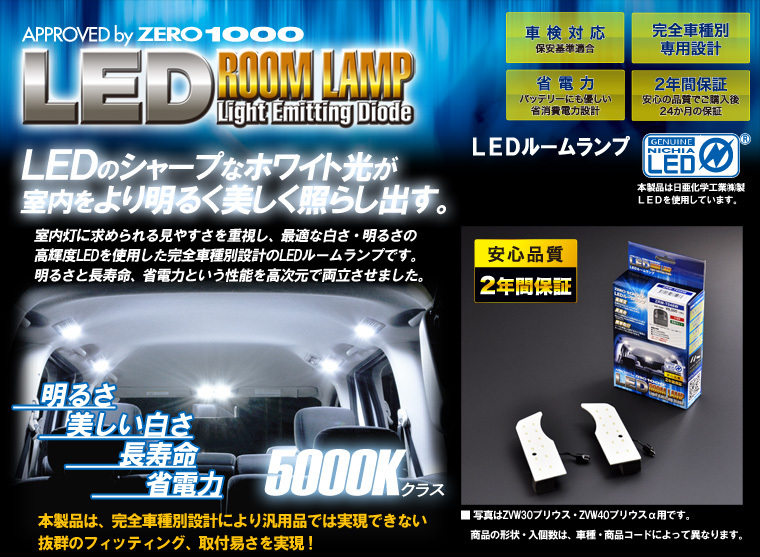 ●The product is sold separately for front, center, and rear room lamp. ●The shape, size, packed quantity are different for each car model, car grade, and product code.